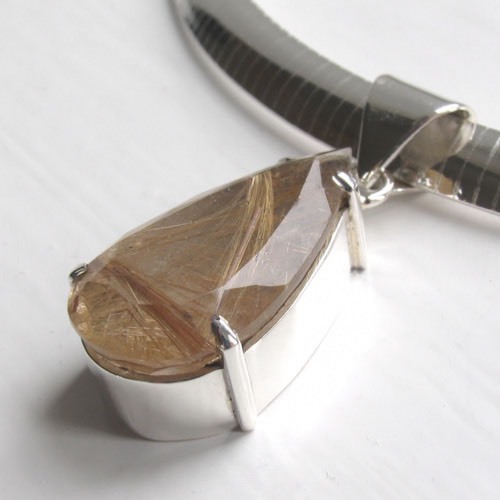 Golden rutilated quartz pendant set in sterling silver. 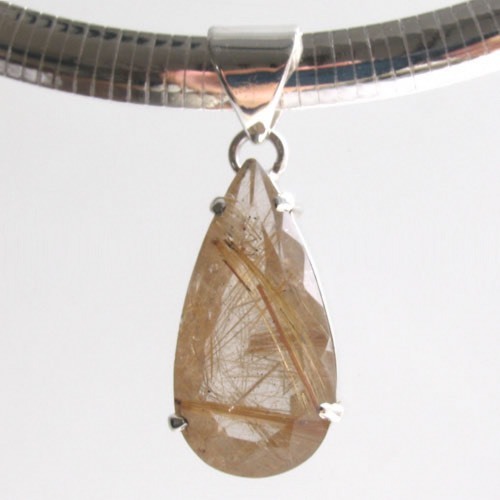 This beautiful pendant features a fabulous example of golden rutilated quartz. 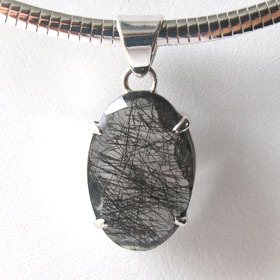 Hand picked for its clarity, brilliance and striking Venus hair rutilation, the gemstone is set into a chunky sterling silver claw setting. 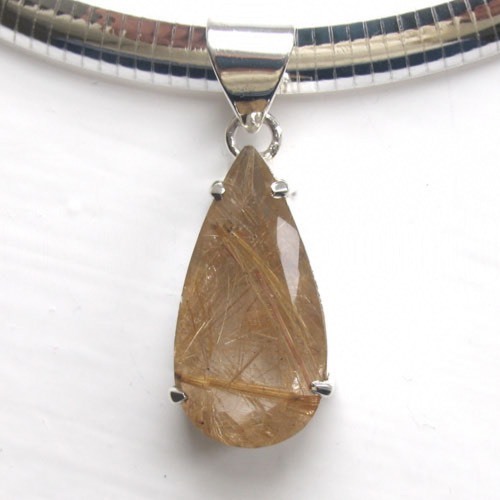 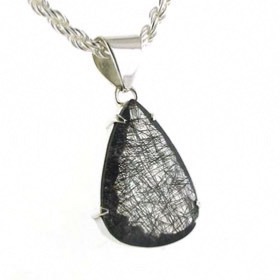 This is a diamond cut pear drop stone in a deep golden colour with a busy and varied rutile pattern. 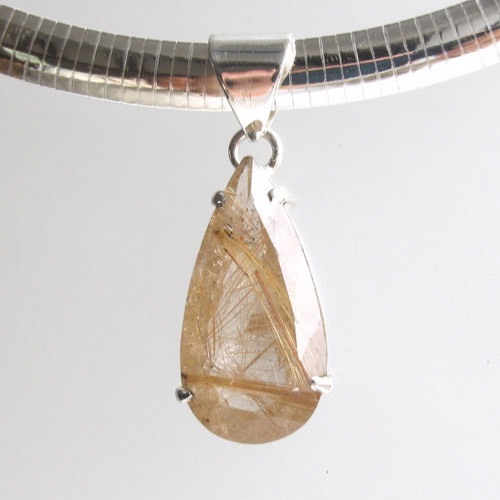 There is a riot of golden Venus hair within the stone, some very fine and some bold and dramatic. 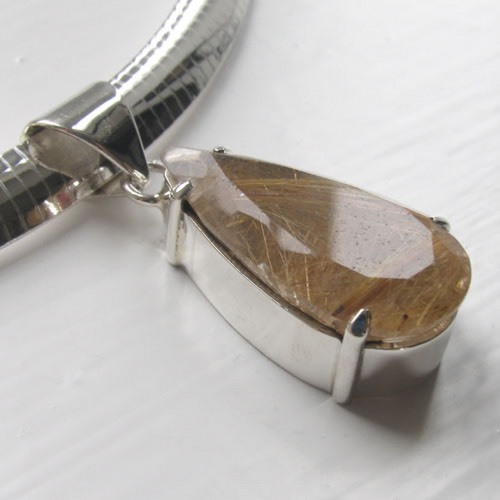 The gold shines brilliantly giving this pendant a shimmer. For information about golden rutilated quartz see About Gemstones. 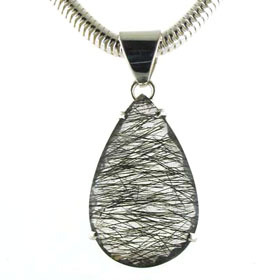 Enjoy free UK delivery on your pendant! 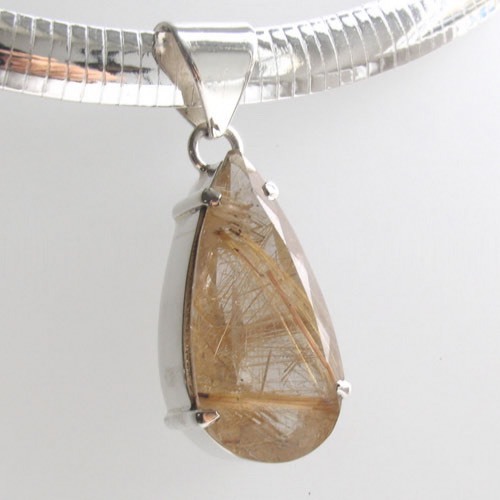 For a choice of chains to wear with this gold rutilated quartz pendant see all our Italian sterling silver chains. 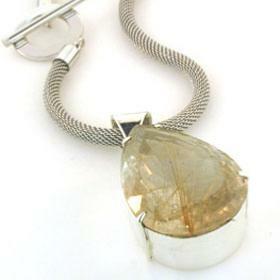 The chain shown is our popular silver omega chain, width 8mm. 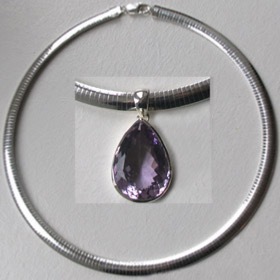 This firm chain creates a curve and in a short length makes a beautiful choker.